Considering Singapore is a financial hub, we’re pretty dismal with regard to financial literacy. Singaporeans who meddle with the CPF Investment Scheme (CPFIS) somehow manage to lose money, the braver ones get burned by gold traders, and a small bunch are still hiding money in Milo tins. It’s time to address how we mess up our retirement. Singaporeans tend to have an “episodic” view of finance. Don’t believe us? Check out the reaction in comments boxes, whenever news breaks that GIC or Temasek Holdings has underperformed. Even if the loss is for one-quarter, all perspective flies out the window. There are accusations of incompetence everywhere. A reasonable approach would be to look at 10 or 20-year performance – no fund wins all the time, and what matters most are the annualised returns in the long term. But it’s easy to forget that when a dramatic news headline is screaming about a financial apocalypse. Many Singaporeans carry the same mentality to their mutual funds or managed portfolios. One bad episode causes them to panic, and they switch products (sometimes paying huge penalties to do so). When their new investment goes sour, the pattern repeats and they switch again. Over 10 years, their assets end up with a higher turnover rate than a North Korean labour camp. This sort of behaviour almost always guarantees losses: retirement products are built on long term strategies, and need to be given time to deliver. In particular, many Singaporeans don’t seem to understand the difference between absolute return strategies, and investments that follow a benchmark index. If they buy a fund that promises an absolute return of five per cent, and the market hits nine per cent, they may decide their fund “underperformed” by four per cent. This then prompts them to switch, and abandon a perfectly good retirement product. Yes, you should only invest in things you know. However, that does not mean that you need to know only one thing, and use that as your sole investment option. Many Singaporeans are too puritanical. If what they understand is property, then they want no investments other than property. If what they understand is Forex, then only Forex is a reasonable way to invest. You get the idea. This is unhealthy because it takes away the safety of diversification. This is most evident in property, where many Singaporeans are happy to take a one way, unhedged bet in the property market (when we use the term “bet the house”, we’re not kidding). It’s important to study a range of investments, even some unconventional ones that don’t move in tandem with stock or bond markets. 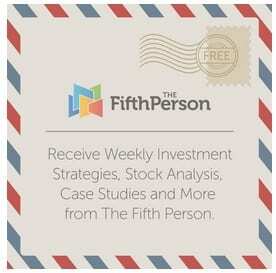 You can build your general knowledge on investing on The Fifth Person. It’s not unusual for retirement goals to change over time. However, some Singaporeans add far too many extra needs at the end. Suddenly, they don’t just want $2,000 a month to retire on. They also want to be able to pay for their grandchildren’s education. They want to be able to pay for their child’s wedding. They want to look after a sick family friend. The new needs are endless. This can create a scramble to rebalance the portfolio, often toward higher-yielding, riskier assets. And because wealth managers loathe to say no, it often results in “too little, too late” changes, which bring more risk than they’re worth. Don’t let this happen to you. Remember, by looking after your own needs, you are reducing the burden on your children. If your retirement fund implodes, they’ll need to spend more money on you. Some Singaporeans get excited when they are on the last $100,000 of their home loan. One response is to empty out their savings, to accelerate the repayment process. This can actually damage long term retirement plans. Say you owe $100,000 on your flat. After many years of diligent saving, you have accumulated $80,000 in cash. You then repay the whole $80,000, to speed up the mortgage repayment. Congratulations, you now owe only $20,000. But what happens if you get into an accident, and need the money? You have nothing left in your savings. The fact that you only owe $20,000 on your house makes no difference to that. This may cause you to liquidate retirement assets early, or take out loans that invariably have a higher interest rate than the mortgage (your home loan is the cheapest loan, in terms of interest rate, that you will ever get). We’re not saying it’s bad to speed the repayment on your house, if you can. But you must do in a way that ensures you still have cash to deal with emergencies. Your retirement fund should be untouched. (PS: For bank loans, there is a prepayment penalty that allows the bank to recoup the interest they’d lose, in the event of early payment. So you may not save any money by paying your mortgage early anyway). Mutual funds, hedge funds, even index funds all have fees. The same goes for insurance policies with a savings component. Many Singaporeans are not clear on how much they really pay for these services – if they’re told returns are five per cent per annum, they often assume they’ll get all of it. A lot of the time, a return of five per cent will end up being closer to three per cent, after subtracting commissions, management fees, marketing costs, etc. On an insurance policy, the cost can be seen as the “effect of deduction”, or “distribution costs”. For funds, the fees are usually referred to as the Total Expense Ratio (TER). Note that “management fees” are only one part of the TER, so low management fees still may not mean a fund is cheap. Now most retirement funds will need returns of about five per cent per annum, after deducting fees, to be viable. So if you don’t factor in such costs, you may have an insufficient retirement fund and not even know it. One way around this is to learn to manage your own portfolio. We have a number of ways to get you started and optimise what you get out of your investment dollars. Next Story → Should you save or pay off your debts first?